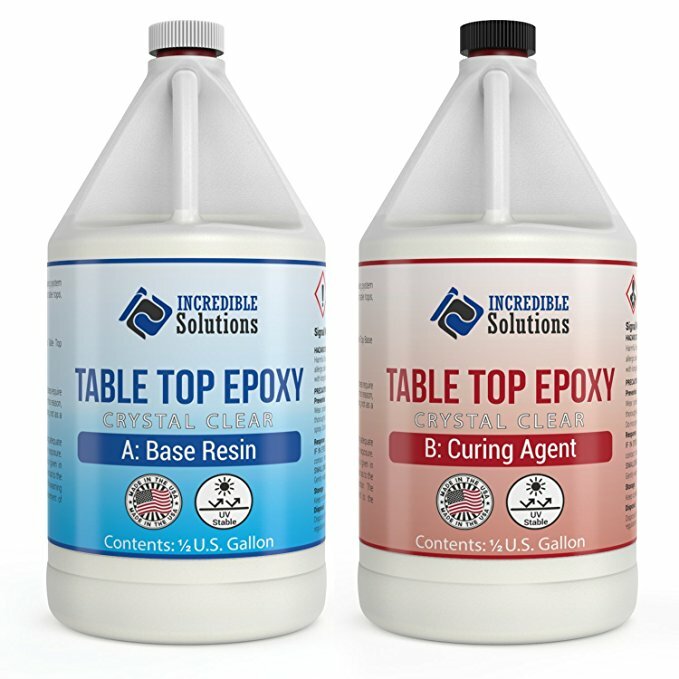 Whether you are trying to repair epoxy resin countertops, epoxy table top or attempting to learn how to fix a peeling epoxy garage floor, you have come to the right place. When it comes to epoxy mishaps, solving them can be a challenge even if you have a general idea of what to do. One common issue is sticky or tacky resin, but others may include uneven finishes. This normally is an issue brought on by not mixing well or as instructed leading to improper catalyzation. Always be sure you are mixing as instructed and with fresh hardener and resin to avoid this issue. Where surface issues are concerned, you will want to keep your resin clear of any particles or debris. You can lightly sand the piece that you are working with. Doing so after the first coat has cured will offer a better second finish. You will find that most resins will level themselves. If you find it is not leveling out, then you are not using enough resin. Be sure that the project that you are working with is level. A good rule of thumb is always to mix a tad bit more than you think you are going to need, and always be generous when applying your resin. Let's take, for instance, repairing epoxy countertops, as this is a relatively common DIY job and very similar to other repairs. Over time you may find that your epoxy countertops will have to be repaired. 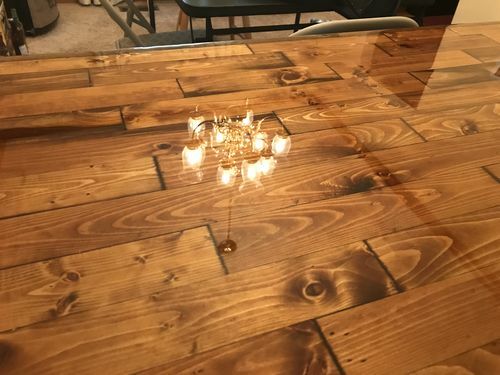 You can save a lot of money if you do it yourself, but you will have to follow the directions thoroughly to get that clear glass finish. Be sure to cover any surfaces that have been scratched with something specially made for surface abrasions. Old English is a good product to consider. After you have made sure to attend to the scratched surfaces you will take a 650-grit sandpaper and sand the scratch parallel to the imperfection. Do this to all surface scratches and imperfections. Make sure that the sandpaper is the wet/dry type. 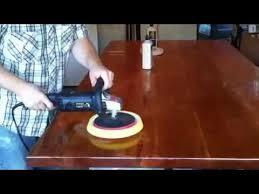 Now that you have used the abrasion treatment and sanded the scratches it is time to clean the countertop. You have to get all of the debris off the surface. You will want to do this using a 50/50 blend of water and commercial cleaner. Make sure when wiping you use circular motions. Buff the area. Make sure that you have removed all the grit and cleaners. This is when you will apply a very thin coat of epoxy to seal and restore the shine. You will want to wait for a full 24 hours and check that it is dry and not tacky. You may find that there are chips in the finish especially along the edges. Take a clean towel and use alcohol in these areas. You may also use an alternative option in the form of epoxy resin cement. 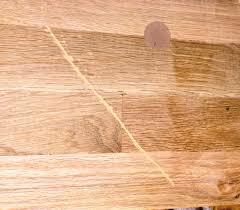 If you are dealing with a wood surface, you may find flaws or imperfections. Warping may be an issue. One coat may simply not be enough epoxy to do the trick. You can apply a thin coat to be used as a flood coat. These should be applied fully at ⅛” until leveling goals have been reached making sure that your leveling coats are not too thin. Avoid too much heat while removing the bubbles to avoid ripples. Keep in mind that you are applying your epoxy in two stages. The seal coat will only need to be a small amount applied to prevent air bubbles and fill in any pores on the surface. This seal coat should never be a stand-alone coating. This is a primer coat only. You can use the same product for the seal and float coats. Sometimes when working with steel, copper, Formica or laminate, you won't have to use a seal coat. Note however, when using copper, you will have to apply a non-water-based lacquer first. Seal coats must be utilized with wood, cork, concrete, items with raised or embedded decor or tile. If a seal coat is not used, you will have an uneven and bubbly finish within the flood coat. Also, even if you have used two or three coats of polyurethane, you will still need to apply the seal coat. You always need to make sure you are working in a well-ventilated area, paying attention to temperature and protect the areas around your work area. It is a process but, in the end, you will have a beautiful result that adds beauty and value to your home.